Distinguishable thanks to their short yet portly shape, Nub Cigars was an experiment by Oliva Cigars under their creative wing, Studio Tobac. Launched as recently as 2008, the concept was a daring and unique venture. 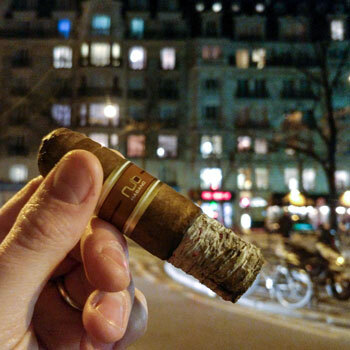 In cigar community’s slang, a “nub” is the final part of the cigar with a characteristically strong flavour, which is sometimes smoked or discarded. Because of both their short stature and full flavours, it was a particularly apt name for the brand. Today, Nub Cigars are almost considered a brand apart and their popularity has grown into a cult status. Although not a particularly orthodox cigar, Nubs have earned both the well-deserved acceptance and respect of their peers. You can use the links above to jump ahead or keep scrolling to read more. Manufactured and distributed by the Tabacelera Olive Cigar Company, Nub is based in Miami Lakes, Florida. However, it heavily relies on Estelí, Nicaragua for its filler and binder tobacco whilst sourcing various wrappers from around the world. With their unique take on the Gordito vitola and expert construction, Nub offers a unique cigar smoking experience. As an experiment that has risen to a favourite among many enthusiasts, Nub has since released a number of different varieties of its classic cigar. A flavoursome and immersive experience. Nub Cigars is a unique smoking experience that offers exceptional value and flavour. Nub Cigars Reviewed by Charles-Philippe Bowles on July 9th . As mentioned above, Nub cigars are instantly recognisable by their chunky appearance. With a thick girth and short stature, they’re unusual-looking cigars that resemble large bullets. Known as the Gordito vitola, this cigar shape did exist before Nub’s launch. However, these tended to be more reasonable in size with ring gauges of less than 50 set against a 4-inch length. Meanwhile, Nub sought to take this further by developing a cigar of the same length but with a 60 RG! The reason for this is cigars develop both their body and flavour as they’re smoked, which usually reaches a so-called “sweet-spot” near the second third. With some larger vitolas such as Toros and Churchills, this can take quite some time. Oliva’s objective was to design a cigar that would reveal all of these nuances of flavour upon lighting as well as maintain them throughout the smoke. This resulted in the Nub, a chunky yet short cigar that promised a rich smoking experience that lasted just as long as a regular cigar. However, despite their short stature, Nub cigars still contain as much if not more tobacco than a traditional robusto. As such, they should burn for as long as a regular smoke rather than being a fleeting experience. Whilst the parent company, Oliva Cigar Co., has a rich history dating back to 19th-Century Cuba, Nub is a comparatively young enterprise. In 2007, Sam Leccia, a formal sales from Oliva, pitched the concept to the Oliva family. Although the idea was met with some raised eyebrows, they became particularly enthusiastic after testing a few samples. Closing working with Oliva’s master blenders in Estelí, Nicaragua as well as the brand’s “Studio Tobac” creative wing, Oliva developed the concept. By 2008, Oliva had perfected the cigar, which had taken the form of a compact and densely-rolled 4 x 60 Gordito. In April of the same year, the Nub Connecticut was launched to much fanfare. After its enormous success, the brand soon followed up by releasing the Nub Habano, Maduro and Cameroon respectively. Since then, Nub has experimented with a variety of varying vitolas. Whilst the 460 (4 x 60) is their classic format, most of the cigars also became available in alternative 358 (3.75 x 58) and 466 (4 x 66) sizes as well as a 466 Torpedo. Furthermore, Nub’s innovative success has lead to other releases where the concept was applied to unique blends. For instance, Oliva created a crossover of their Cain F series known as the Nub Cain. Although owned by Oliva Cigar Company, Nub Cigar is managed by Studio Tobac. Studio Tobac is the innovative arm of Oliva that focuses the research and development of new concepts. For instance, not only was Studio Tobac responsable for Nub but they also created Cain cigars, a series of blends that focus on using ligero tobacco. Furthermore, they recently collaborated with Ernesto Padilla to release a very limited cigar run. Rather than produce the cigars in Oliva’s smaller facility in Danlí, Honduras, Nubs are made in Estelí, Nicaragua as mentioned above. This 60,000-sqaure-foot (5,600m²) facility focuses on the brand’s premiere products and is compabable of rolling 50,000 cigars a day. You can either use the links to jump forward or scroll down to explore them all! Representing Nub’s first venture, the Connecticut is a wonderfully creamy and alluring cigar with mild yet complex aromas. The Connecticut shade wrapper is sourced from Ecuador and the cigar is available in a host of vitolas including a small but impressive 3.75 x 54 format. You can learn more about this particular cigar by reading the full Nub Connecticut cigar review! Following the success of the Connecticut, the Habano followed shortly after. Featuring a medium-brown Nicaraguan Habano wrapper, it offered a slightly fuller-bodied smoke with rich and complex flavours. Rather than offering the small 3.75 x 54 vitola, Nub instead released a mighty 4 x 66 format for a more developed and heady experience. You can learn all about this cigar with our full Nub Habano review! After both the Connecticut and Habano, it was only logical to release a Maduro variant of the Nub. Bursting with flavour, the Maduro consists of a fuller body with mellow aromas. With a Brazilian Maduro wrapper, this cigar has a dark chocolate and midly toothy appearance. Unlike the previous offerings from Nub, the Maduro is only limited to either 4×60 or 4×64 Torpedo vitolas. Discover this cigar with our detailed Nub Maduro review! The fourth release of the Nub series, the Cameroon features a dark and toothy Cameroon wrapper. An intense and alluring experience, it delivers rich notes of coffee and cedar. In addition to the regular line-up of vitolas, there is also a unique 4×66 box-pressed Torpedo. Also known as the “Nub Dub”, the Double Maduro is a limited run cigar. It differentiates itself from the regular Maduro cigar by incporating a second layer of two dark Maduro wrappers in order to provide a richer and fuller aroma. Although it’s rarer to find than the regular Maduro, it has a strong following. However, it otherwise features the same composition but provides an altogether different experience. Check out the full Nub Double Maduro review to learn more! Given the successes of both Oliva’s Cain and Nub series, a collaboration between the two was received to much fanfare. By combining Cain’s use of straight ligero blends and Nub’s compact structure, Oliva provided a unique cigar experience. As you’ll learn in our guide to cigar anatomy, Ligero primings are the leaves from the upper-most part of the tobacco plant. They provide the fullest and strongest flavours and are usually reserved for the filler’s centre. Furthermore, you may notice that this doesn’t account for the full 100%. This is because other types of tobacco primings are still require to ensure an even burn. The Nub Café series is an interesting concept born from the long-lasting association between coffee and cigars. This premium series of handmade cigars is infused with coffee with several different options available. For instance, the Cappuccino seeks to reveal flavours of fresh coffee, vanilla beans and cedar for a refreshingly sweet smoke. Meanwhile, the Espresso marries aromas of dark cacao with premium long fillers and a Sumatran wrapper to deliver robust yet appetising flavours. Finally, the Macchiato combines milk chocolate with Sumatra wrapper and Dominican filler for a sensual aroma. Enjoyed reading about Oliva’s Nub Cigars? Now that you have learned about full brand, check out some of our other cigar resources below! I am trying to find the Nub Dub madauro at a good wholesale price? is this something that you may be able to assist me with? I usually like to support my local cigar retailers. IF you get friendly with them, most will give good deals on box purchases. If not / that’s hard in your area, I have seen some INSANE deals on boxes via Holts.com, here boxes were in the $70 – 90 range with a “free” hat and lighter. Just check back on the site, and seem to rotate every few months with that deal.